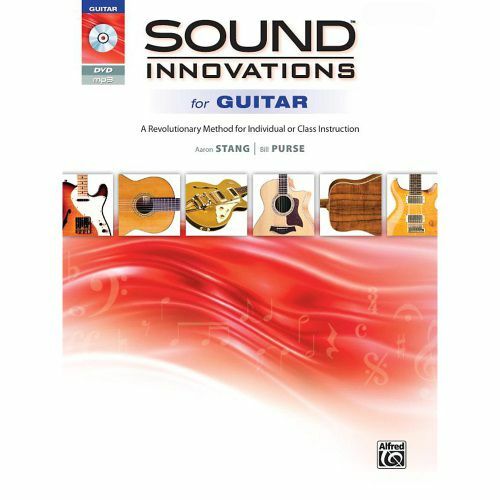 The second installment of Sound Innovations for Guitar is now here! Book 2 of this revolutionary method quickly reviews concepts taught in Book 1, then goes full speed ahead with topics like moving up the neck, sixteenth notes, speed picking, playing power chords in higher positions, classic guitar riffs, barre chords (major, minor, and seventh), and much more. The included MP3 recordings demonstrate every example and song in the book, and specialized instructional tracks feature concise explanations and demonstrations of all new concepts and techniques. The included TNT 2 Custom Mix software lets students slow tracks down and loop sections for continuous practice, and the video lessons on the included DVD explain and demonstrate all the concepts and techniques.